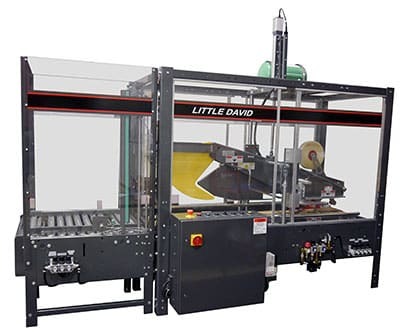 The Little David ® LD-16AR is a fully-automatic case sealer that’s ready to process a random assortment of case sizes at speeds up to 20 cases per minute (depending on incoming height variance.) The LD-16AR automatically makes adjustments to match the height and width of each case fed into it by a powered conveyor. 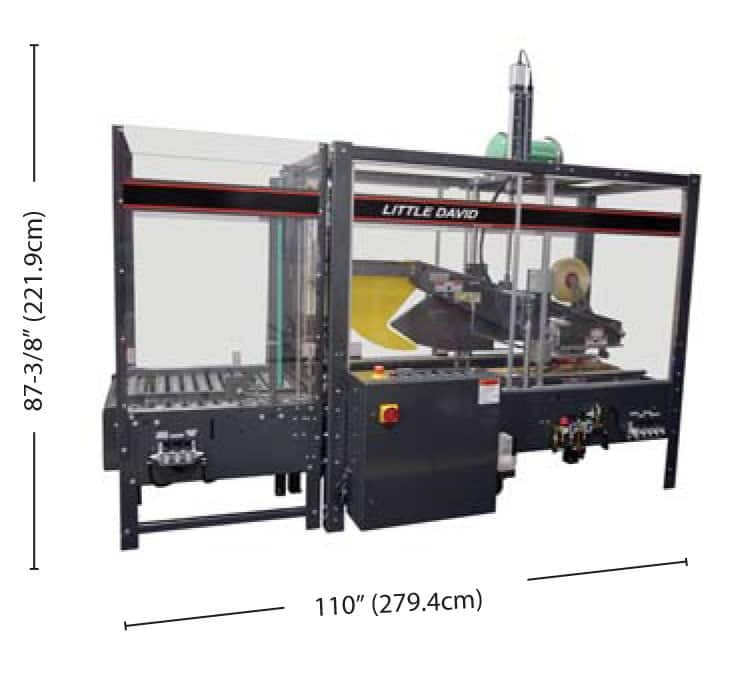 Two stage operation accurately measures the case size and preadjusts the top tape head. Cases are sealed on the top and bottom with 2″ or 3″ tape using the latest CaseLocker™ 60 tape cartridges. Process 15 cases per minute. Up to 20 cases per minute can be reached depending on incoming height variance(maximum 3″). 150′ per minute (45.72 m/min).